Question: If you wanted to convert our free voting Constitutional Republic into a Socialist or Communist government, where would you start? What would you do? Answer: the first step would be to grant government the power to write its own rules to do what it wants. Government could take power from the people that it did not have to allow it to do things it was not allowed to do. Then government could seize any property it wanted to do with it what the bureaucrats wanted for their own benefit at the public’s expense. Ideally, the government would do all this in such a way that it convinced the masses it is all to benefit the public. Do you think this is impossible? No! Socialists in Oklahoma found a way. In discussions with Dennis Gronquist, he explains his views on the use of the Trust Indenture to take property controlled by the public and rightfully reserved for their benefit and place it in trusts run by government bureaucrats for the benefit of the government itself. Once their hopes of conquering America militarily were dashed by the collapse of the Soviet Union, the Communist Party and its fellow travelers re-focused their strategy to promoting a take over of our country from the inside. To weaken us, they have attacked the foundations of American culture: the family, our morality, and our economy. It should be obvious from the political events of the past year that the communist movement has found a home in the modern Democrat party, whose liberal-progressive platform promotes a philosophy that is against private property, against productivity, and blatantly against the principles on which our nation was founded as enshrined in our Constitution. This subject is exceptionally well documented in “Agenda: Grinding America Down” a video documentary by Curtis Bowers in which he outlines the 45 goals of the Communist Party USA to destroy America from the inside. The DVD is based Bowers’ personal observations and research as well as on Cleon Skousen’s 1958 book “The Naked Communist”. Skousen, a retired FBI agent, also wrote “The 5,000 Year Leap”, a book heavily promoted by Glenn Beck. Socialism is best described as a Principality form of government, the opposite of a Republic. Niccolò Machiavelli defined it as a government that serves the government by burdening the public where the public have no real voice. Indenture of trust is a document containing the terms and conditions governing a trustee’s conduct and the trust beneficiaries’ rights. It is an agreement in the bond contract made between a bond issuer and a trustee that represents the bondholder’s interests by highlighting the rules and responsibilities that each party must adhere to. It also dictates the circumstances and processes surrounding a default. Trust indentures may not be included in every bond contract. Indenture of trust is also known as trust indenture. The State of Oklahoma authorized itself, counties, and municipalities to establish what it calls “TRUSTS,” wherein it can write Trust Indentures to create these false trusts for its own benefit. As the elected governing bodies, they often improperly assign themselves as “Trustee” to operate and maintain the property within the trust estate. What property is included in these trusts? Public property is taken out of the public estate and actually placed in the trust estate in perpetuity. 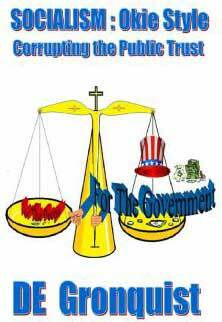 Governmental entities remove the public as beneficiary of these trusts across the state and name themselves as beneficiary. As the beneficiaries of the trust, the trust indenture simply becomes a sham agreement or contract between the governmental entity as trustee and the governmental entity as beneficiary. It is a meaningless document. Since they are also the governing body, they can change the trust at will. Now, the public no longer benefits, but is simply reduced to indentured servitude as the financial benefactor of anything the trustees want to do for their own benefit. These trusts range from municipal utilities to state turnpikes. When municipal utilities become part of a trust indenture, financial control of the utility is placed in the hands of the trustees who then operate the utility to benefit the trust instead of the public. Utility rates, for example, can then be regulated without public input and set at any level desired by government officials who are both trustees and beneficiaries. Without competition and public oversight, there is no check on electricity costs to the user. Excessive taxation and usage rates provide a new avenue for backdoor taxation to benefit government at the public’s expense and without public approval. The term “Public Trust” is simply used to deceive and appease the public. Any red-blooded Okie should understand that this is a giant step toward Socialism. It is Socialism in its simplest form as government has taken property without due compensation for its own use to the detriment of the citizens. 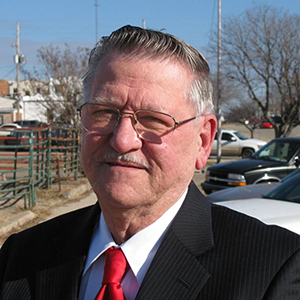 Dr. Dan’s guest on Freedom Forum Radio this weekend is Dennis Gronquist, author of the book, Socialism, Okie Style: Corrupting the Public Trust and founding member of the Stillwater Watchdogs, a group of concerned local citizens who were a motivating force against corrupt public trusts in the State of Oklahoma. Dennis Gronquist will explain his views on the use of the Trust Indenture to take property controlled by the public and rightfully reserved for their benefit and place it in trusts run by government bureaucrats for the benefit of the government itself. Part one of this four-part interview begins this weekend, Saturday and Sunday, December 10-11, on WJRB 95.1 FM and streamed live over the Internet. Part two airs Saturday and Sunday, December 17-18, part three airs Saturday and Sunday, January 7-8, and part four airs Saturday and Sunday, January 14-15. All programs are available by podcast following air time here. This information is surprising. How could they let this happen? I will be tuning in to hear parts 2-4. This is not the only case, as the Federal government also takes power it does not have to do things it is not supposed to do. An example is the taking of 40% of nine western states by the federal government from the states that own them, to benefit the federal government. This is also an example of the Socialist movement in America.